Have you heard about a PEO and wondered what all the buzz is about? This article explores a Professional Employee Organization and why many small businesses use them. Swipeclock is not a PEO but does work with many PEOs to provide timekeeping, an employee portal, payroll integrations, and other cool HR tools. Benefits have a higher participation ratio by the SMB’s employees. This means that employees are more vested in their benefits and more likely to be happier with their employer! Effectively use the talents and knowledge of your executive team to grow and build the business. If you are an SMB owner, don’t waste your talent trying to figure out other administrative tasks instead of focusing on your core business! The employee turnover rate for a PEO is 10%-14% lower than comparable small business employers in the same industry. When you consider that the average cost of employee turnover can be as high as 200% the employee’s salary (per SHRM), that’s a lot of savings! Businesses who use a PEO are twice as likely to succeed as businesses who don’t use a PEO. 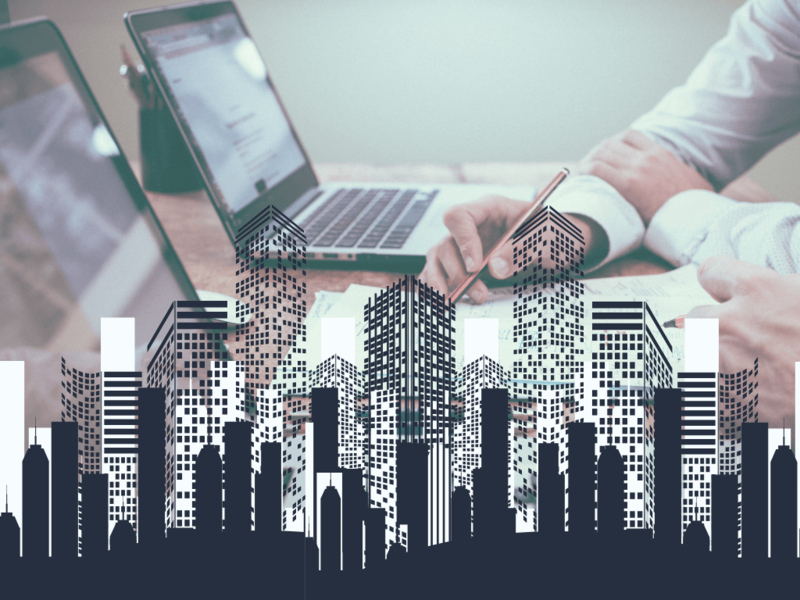 Studies show that SMBs using a PEO are 50% less likely to go out of business (permanently fail) from one year to the next. SMBs save an average of 21% in HR administrative costs when using a PEO. Employers more easily stay on top of regulations which minimizes risk. It also reduces labor law fines and reputation risk. How much time does your executive team have to track and monitor employment laws? Are you paying an attorney to monitor local laws for you? Consider strongly the implications of non-compliance. 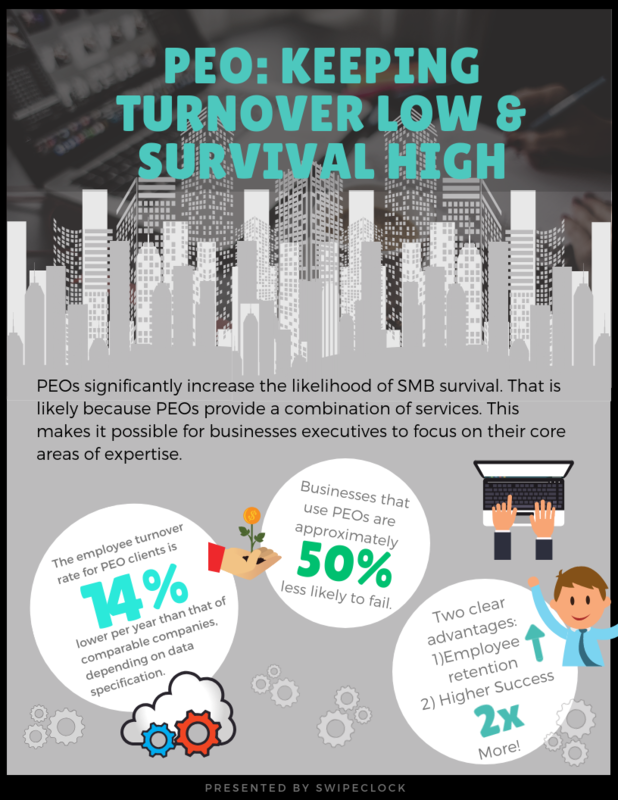 PEOs allow an SMB to increase HR support without increasing the number of employees. SMBs using a PEO are 3 Times more likely to offer retirement benefits. There are many aspects to consider when looking at partnering with a PEO. Here are a few questions you should ask yourself. Is my HR administration taking up more time than I would like? Am I spending time on HR that is pulling me away from my core business? Is HR administration too much for my existing HR staff? Is my staff getting bogged down? Did you know that up to 80% of an HR Departments time is spent on administrative tasks and paperwork? Shameless plug: You can cut that down drastically, just by allowing employees to modify and update information on an employee self-service portal. Am I on top of ongoing updates to state and federal labor laws? Does my local city or county have any new employment laws? Am I up to date on rest breaks, sick leave laws, local FMLA, minimum wage, and other local laws? Am I aware of laws for all locations that my employees may temporarily work within (such as California) that require additional compliance from me even if I am not located within that area? Did you know that the majority of the states had local minimum wage increases in 2018? More are scheduled for 2019. In addition, local cities and states now require paid sick leave awards to employees. And, Oregon (plus several cities) now have scheduling laws employers must comply with or face heavy fines. Has the Health Care Reform compliance given me a headache? Are the new changes for 2019 causing me stress? What am I doing to stay abreast of ever-changing requirements for SMBs? Am I concerned about the changes (passed and still -debated) coming to Obama-Care? Has it been an obstacle for my company to recruit and develop the right employees? Has it been hard to retain those skilled employees? When you compete for talented employees, am I confident that my company stands out from other employers? In what ways does your company stand out? In addition for the typical array of benefits, SMBs can also offer a variety of ‘non-traditional’ benefits. These are becoming increasingly more popular with Millenials. Think your business is too small?